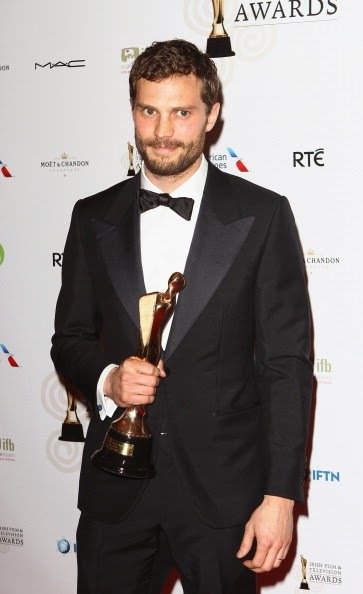 Jamie Dornan attended the 11th Annual Irish Film and Television Awards (IFTA) on 5 April 2014 at Dublin’s DoubleTree by Hilton Burlington Road in Ireland. For the event, Jamie Dornan wore a tuxedo by British tailors Thom Sweeney. 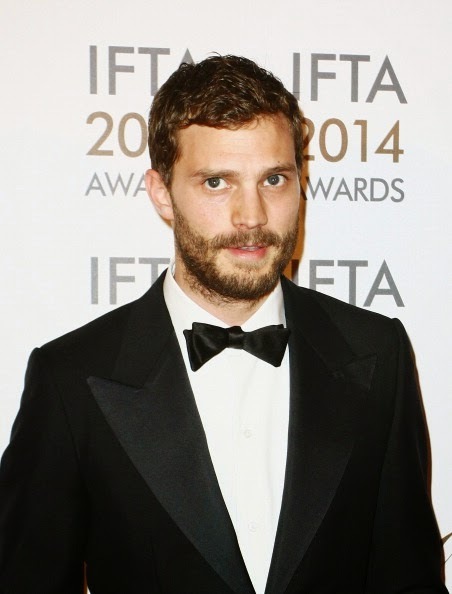 The Northern Irish actor, who will be starring in the upcoming 'Fifty Shades of Grey' movie, took home the awards for Best Rising Actor and Best Actor in a Lead Role in Television for 'The Fall'.